I assumed Val Smith to be a real person. But while sorting out TVL/BBC corresondence from my days as their customer, I made the following discovery. Let's take a good look at those signatures. 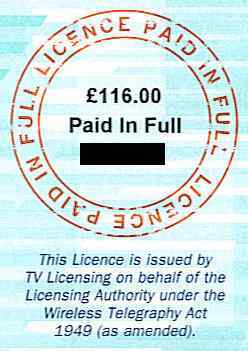 TVL/BBC regards members of the public who withhold their identity as licence fee "evaders". Yet, the above comparison shows that TVL/BBC staff hide their own identities through the creation of fictional persons. "Many businesses, whether sole traders, partnerships or companies, conduct all, or part of, their business using a trading name. Some may use many such trading names in the course of conducting their business. However, a trading name has no legal status of its own and is simply a brand name for the underlying legal entity, individual or company, carrying on the business". (Inland Revenue website: http://www.hmrc.gov.uk/new-cis/trading-names.htm). TVL's trade name status can be seen in its logo, which includes the letters "TM" in a circle; this means that TVL is a trademark. The effect of the "TVL" trade name is to create the impression that the BBC is not involved in licence fee activity, and that TV licence enforcement is conducted by a separate, regulatory body. 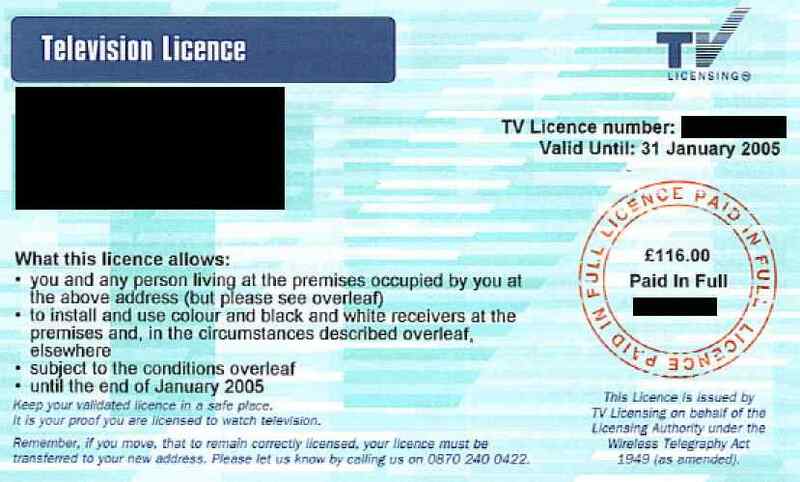 Even the paper TV licences avoid referring to the BBC by name, saying that the licence is "...issued by TV Licensing on behalf of the Licensing Authority". 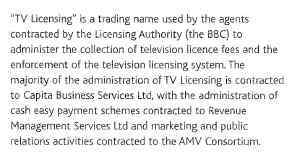 Decoded, this simply means that the licence is issued by the BBC. So, there we have it; the TVL is the BBC, and the BBC is TVL. This is why this website always refers to "TVL/BBC", since the two are the same. So pervasive is the presentation of "TVL" as an organisation that even BBC employees start believing in it. Here is an example of the BBC's own website referring to TVL as the "Licensing Authority", even though it is nothing more than a brand name. Such use by the BBC of a trade name when selling and enforcing licences is highly relevant to the privacy of people who do not need the licence and have no wish to pay the BBC. If any organisation sends out letters, receipients are entitled, at least morally, to know the identity of who is sending that mail, particularly when those letters are unsolicited and persistent. This entitlement is even more critical when the organisation, not receiving the response it wants, sends agents to the home of the private citizen with the aim of gaining entry. To experience a knock at the door, and then an attempt at entry, by an uninvited visitor is bad enough, but for that visitor to conceal - indeed, misrepresent - the identity of organisation he represents, can only be regarded as abhorrent. The BBC's attitude towards people is indicated by the below scan from TVL/BBC's booklet "About TV Licensing". This says that people who do not require a television licence are the BBC's "customers". In other words, TVL/BBC does not accept the concept of a non-customer. In democratic society, people have the right to choose whether or not to receive the services of an organisation. This right is denied by TV licensing legislation which requires people to pay the BBC before they are allowed to watch other channels. But this extract goes further; even people who choose not to watch any channels - and thus cut themselves off from the BBC entirely - are still categorised by the BBC as customers. In other words, the BBC denies people the right to exist without it, while at the same time concealing its identity in forcing an unwanted association.